Now, don’t get me wrong. I get single-malt Scotch. I know why people drink the stuff. I get that the Scots (from which I’m at least partly descended) inherited from their Viking raiders and conquerors and eventual ethnic partners (from whom I’m also descended) a taste for taking perverse pride in aescetic self-abuse; the descendants of the Norse express this by eating lutefisk and living in Bemidji; those of the Scots, by professing a yen for haggis (or, really, any Scots cuisine) and, I suspect, drinking single-malt whisky. And again, don’t get me wrong; I have enjoyed single-malt scotch in the past; a friend of mine broke out a bottle of 30-year-old Laphroaig at a party once, and I’ll confess I genuinely enjoyed it; smooth, nuanced, genuinely enjoyable. I’ll also confess I had had two Pims, a couple of Newcastles, and two vodka sours before we got to the scotch (yes, I was in George Jones mode, and no, I was not driving), and I could have probably found good points to drinking Drano by that point. And I’ve tried – oh, lord, I’ve tried – to develop a taste for lesser marques of single-malt whilst more sober. Oban, Glenfiddych, Lagavulin, Dalwhinnie, Macallen, Talisker, Glenwhinggyggherfachgger, and only Robert the Bruce knows what else. I’ve read the critical reviews of the different brands, tried to wrap my head around the whole aesthetic of trying to find the differences between the nuances of the various brands (“was the shepherd who whizzed in the peat bog from which the water to brew it was drawn a diabetic, dehydrated or drunk, or all the above?” seems to be the big distinction), even learned to play the bagpipes. And so far, the best I can say is that it makes cigars taste smoother. (Not to take anything away from that, either…)l.
And while I’ll cop to not having time, money or interest in trying to ape the more foppish manifestations of bobo epicureanism, I do have a palate. I can give a very literate critique of beer, wine, even vodka. Don’t get me started on vodka. Better yet, come on over to Moscow on the Hill on Cathedral Hill, put down the credit card, and do get me started; Moskva Na Cholmye‘s vodka collection, aka “Around The Warsaw Pact”, is second to none; every bit the work of genius that Williams’ “Beers Of The World” has been for the past 20 years. I’m not a Coors-swilling yahoo (although after a weekend of yard work and paint-scraping, it has its place); I can tell good vices from bad vices. But single malt, thus far, leaves me cold, Jimmy. This entry was posted in Geekery, mitch and tagged Love and Hate by Mitch Berg. Bookmark the permalink. Ach, MacBerg! A fine cigar and a single malt (Speyside, of course, but Highland is acceptable) are like riding one’s bike down Catherdral Hill on a cool August morn. I was fortunate to have a friend who was a connoiseur, who hosted tasting parties, to refine my palate. 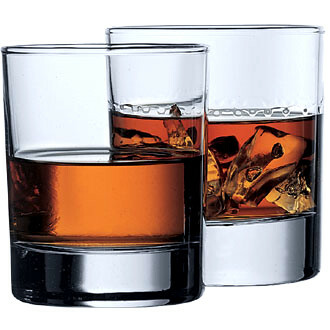 Scotch, perhaps more than most beverages, is an acquired taste, and not one acquired quickly. I have never been fond of drinking to excess, or even to the point that most people enjoy of the buzz where they significantly lose their inhibitions. So I have developed strong preferences for quaity over quantity, in consuming alcohol. My personal preference in scotch whiskey is a lowland single malt, Auchentoshan, which is much smoother and more delicate because of being triple distilled, then aged in bourbon or sherry casks. 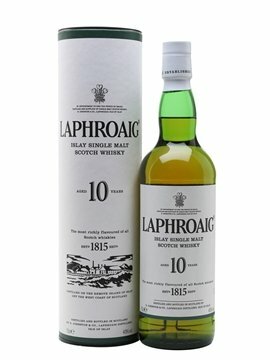 I have always thought that LaPhroaig was a bit iodine like in taste. If only highland varieties are available, I prefer Glenmorangie. Don’t give up trying the stuff; you may come to like it yet. Best enjoyed in small amounts, LOL. You knock one spirit whose process of distillation seeks to imbue it with as much character as possible while extolling another that strives for the opposite? Talking about the best vodka you’ve ever had is like talking about the best celery you’ve ever had. I won’t give up; it’s interesting stuff. It just hasn’t grown on me yet. I could see that one coming. I read your bit on the subject a couple of years ago – and that’s what happens when you have whisky/whiskey experts reviewing clear liquor. It’s like having death-metal music critics reviewing chamber music; their ears (palates?) aren’t attuned to the subtleties. Hey, at least we have beer. Laphroaig? Too peaty for my tastes, not that I know much about Scotch. But, Newcastle? Speaking my language, Berg! The whole goal of vodka distilling is to remove the subtleties. That’s why the better brands have their own little version of an arms race over who how many times they distill to remove any trace of flavor. I’ve been waiting for your “Thing I’m Supposed To Love But Can’t Stand: Beer” post since you’ve already gone through most of the finer things in life. And it’s not a dark versus clear thing either. I happen to enjoy a variety of different gins. Mitch, I had someone recently give a group of us a tasting of scotch; this person had a whole routine to demonstrate. And I will say it made a big difference how you poured it, how you drank it, what you did in between tastings, etc. In short, scotch is every bit as fussy as wine. Even the $200 bottle of wine will taste like Three Buck Chuck if you approach it wrong. It’s assumed those who approach the good single malt paid enough to actually give a damn and drink it right. In lieu of that, pass it over. I can’t drink too much beer any more, but scotch still warms the soul. Just what is in the glass in the rear?!?!?!?!? That better be a cheap blend! I liketh me thome Sheep Dip, fankth. Laphroaig tastes like potting soil.